A new segment on All WNY Radio makes its debut tonight. "Live from the Archives" will feature live recordings from All WNY Radio's early days beginning with the famed "Kickoff Concert," that started it all on April 1, 2006. The segment will air at 9 p.m. each Friday and Saturday with each episode featuring the recordings from one All WNY Radio-sponsored live performance. The debut of each episode will air in chronological order until the entire live archive -- consisting of more than 47 hours of music -- has been aired. Some of the shows were broadcast live, while many of the live recordings have never been broadcast at all. Included in the archives are the "Kickoff Concert," shows from Club Infinity, Showplace Theatre, Higher Grounds, Gonzo's, Kenmore Lanes, Fast Freddies, Nietzsche's, and hours upon hours of recordings from Maggie's Bar and Grill, which served as All WNY Radio's "home base" in 2007. Also included: House Parties 1-8 and "Music at the Marina," which was an attempt by All WNY Radio to start a regular local music concert series at Widewaters Marina in Lockport. 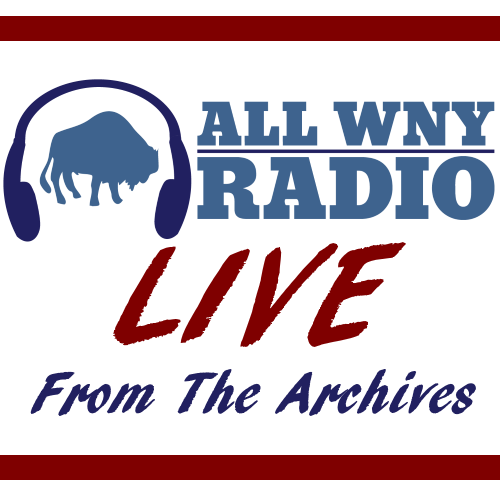 If you can't make it out to see live music this weekend, stay in and listen to live music instead with All WNY Radio's "Live from the Archives." Tonight's broadcast features three hours of live music from the Jeremiah Dean Band, Limited Freedom, Blues Justice and Gil Transit. To listen, simply visit listen.allwnyradio.com, or listen via the All WNY News & Radio Android app, on TuneIn or on Amazon Echo by saying "Alexa, listen to All WNY Radio."